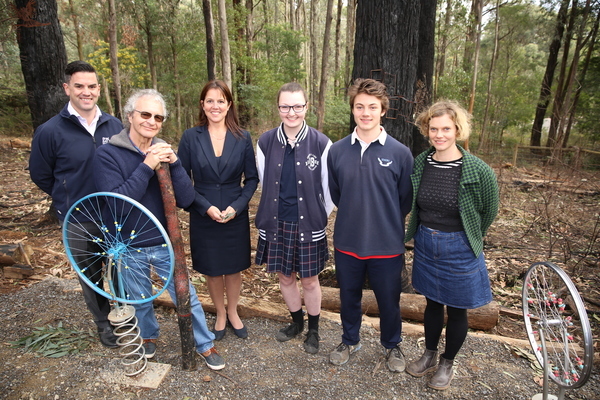 Gembrook MP Brad Battin, Ian Hunter, principal Jodie Doble, students Samantha and Will, and artist Jane Bennetts. 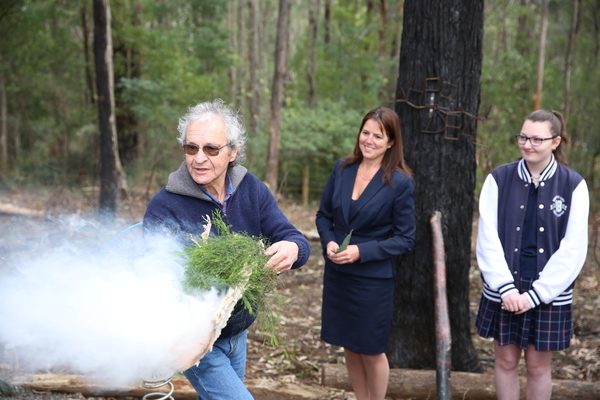 Emerald Secondary College students unveiled their unique sensory garden on Thursday 16 August, which has been built to help fellow peers with learning difficulties. 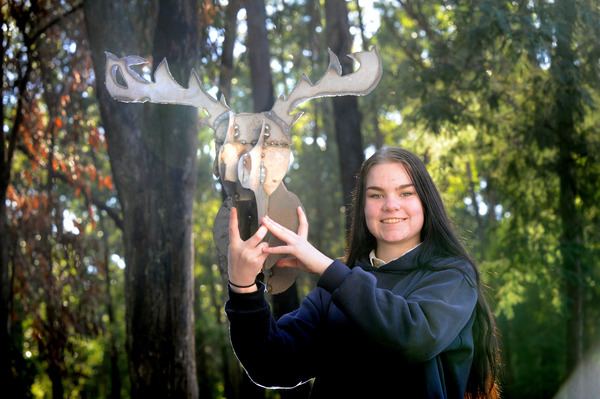 With the help of artist Jane Bennetts and a State Government and Creative Learning grant, Year 10 and 12 VCAL students used recycled metal to create artwork that students could touch, smell, hear and see. The garden, aptly located near the school’s inclusion centre, features a range of interactive artworks which focus on the five human senses. Speaking at the opening, Year 10 VCAL student Will Doran described the project as “awesome”. “It’s wonderful to see so many people here,” he said. 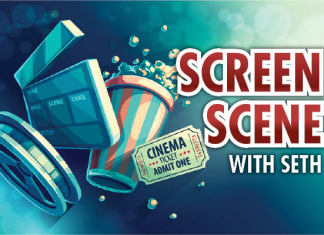 “It has just been a great experience to be able to come out here and get hands-on experience. The sculptures have all been designed by the students and were made out of 100 per cent recycled products. Designed with the purpose of stimulating the senses, each sculpture is unique in its use of materials to engage sight, smell, touch, taste and sound. Welding artist Janet Bennetts said the students had shown intiative and creativity when designing the sculptures. “The idea is that students can come here and have some time out,” she said. “They have designed some really amazing sculptures. “There’s a tandem bike where students can go for a cycle with their mates, and if they need a time out they can go for cycle in the bush, which is a good life message.